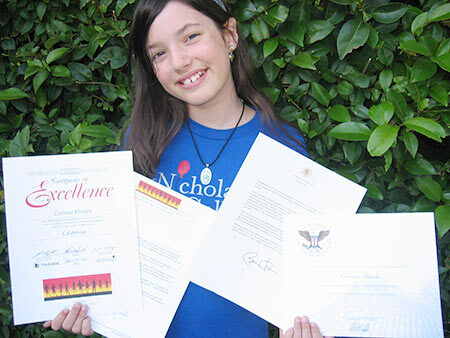 Certificates from President Barack Obama and executives from The Prudential Spirit of Community Awards were awarded to our harmonica performer, Corinne. Corinne, The Nicholas Colby Fund® harmonica player for our Harmonicas for Happiness experience, was presented with a certificate for The Prudential Spirit of Community Award. This took place at her school in Walnut Creek, California during a school assembly.